After a great week of celebrating Sukkot with delicious home-cooked foods, this might just be the nicest way to celebrate Yom Tov on Simchat Torah day! Enjoy good food with your friends from shul, and take a break from all the cooking. The lunch is by reservation only. Please be sure to reserve here, now. 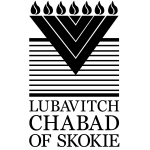 The Simchat Torah Luncheon was founded and chaired for many years by Manny Scheer o.b.m.